What do Google’s Larry Page and Eric Schmidt, director James Cameron, Microsoft alumnus Charles Simonyi, billionaire Ross Perot Jr. and X Prize founder Peter Diamandis have in common? Apparently an aspiration in mining asteroids, and making even more money of course. After conquering the world-wide web, your phone and your smartphone, the Google duo has outer space ambitions and in their plan they will be joined, among others, by the above named billionaires and visionaries and a few former NASA employees. This innovative start-up will create a new industry and a new definition of ‘natural resources’. The reality is that we live in a planet with finite resources that we are consuming at an increasingly fast rate. We guess the idea is that we would ultimately need to look outside our little planet if we don’t wean off our consumption habits. Then you have the case of rare earth metals, many of which are used in our daily gadgets, electric car batteries and in lasers, that are named like that for a reason. Combine that with the fact that China produces more than 95% of the worlds rare earth metals and is restricting exports, and you can see the problem. 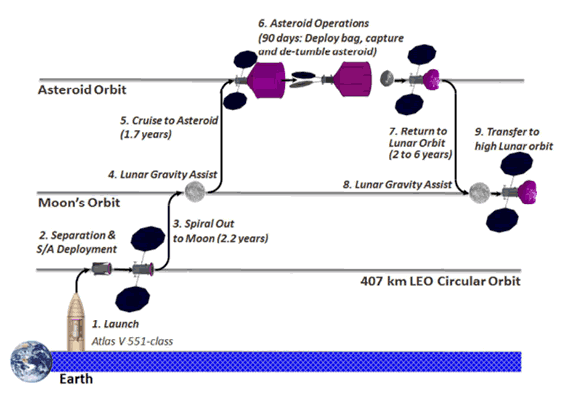 The Keck Institute for Space Studies has recently published its ‘Asteroid Retrieval Feasibility Study‘ which has come up with a cost of $2.6 billion for capturing a 500-ton asteroid and bringing it into Lunar orbit. An undertaking that would take six to ten years. The cost however doesn’t include mining the asteroid and transporting the minerals — going in-and-out of Earth’s gravity is pretty expensive. Now another study had identified thousands of asteroids that could be made of valuable minerals and metals with an estimated value of $19 trillion each, which would make the billionaires’ gamble worthwhile. NASA is currently planning OSIRIS-REx, the first U.S. mission that is supposed to launch in 2016, land on an asteroid and bring back a small piece to Earth by 2023. 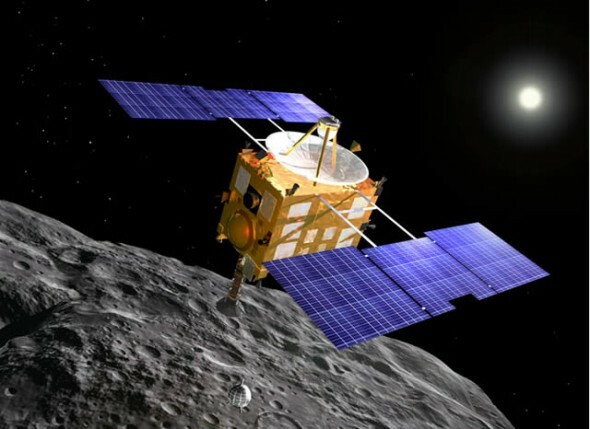 The first spacecraft to achieve this was the JAXA (Japanese equivalent of NASA) Hayabusa probe, that landed on asteroid Itokawa and returned to Earth in June 2010. It’s been hypothesized that if we want to explore and expand into space we would need to learn to exploit these kind of resources. Previous story Samsung Galaxy S III rumors weekend overview: hands-on video, specs and did Amazon Germany spill the beans?